If you are not familiar with list views in SharePoint, you can learn from here. 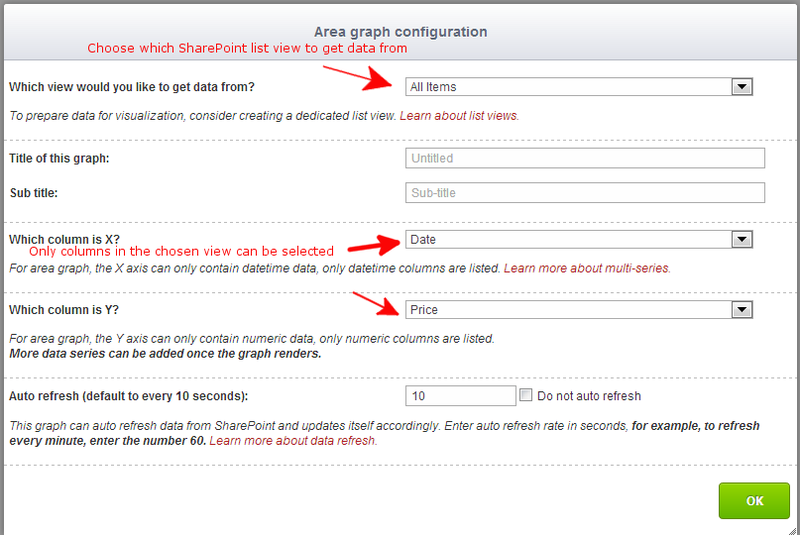 When creating a new visualization, you can choose which SharePoint list view to get data from. Use list view filtering, only data that in the view will be visualized. For example, if you only want to visualize this year’s data, create a SharePoint list view that only includes this year’s data. 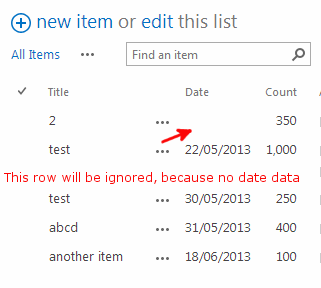 When visualizing, paging in SharePoint list view is ignored. For example, if there are 2000 items in the view and the page size is 30, all 2000 list items will be loaded into the visualizer. 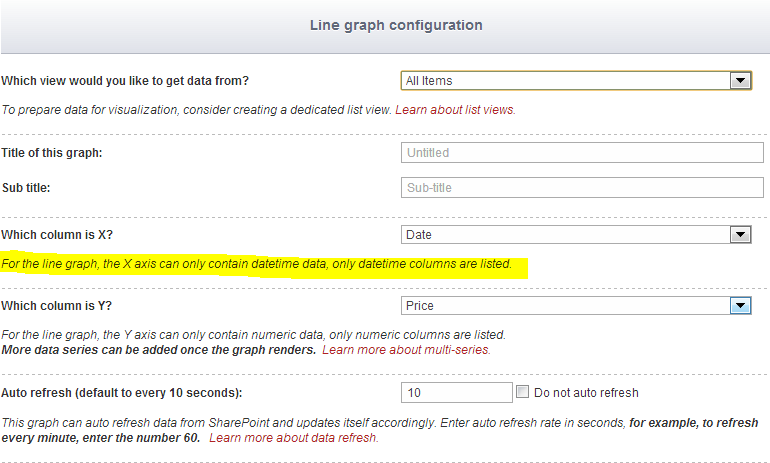 However, SharePoint list view item limit is respected. In the below list view, only the first 2000 items will be loaded into the visualizer. For most graphs, there are limitations of what types of data can be visualized. For example, the line graph’s X axis must only contain date time data. When creating a new visualization, you can only choose a SharePoint datetime column to be the X axis off the line graph. However, what if there are some missing data in some rows? The visualizer has built-in validation logic to filter out incomplete items so the graphs can render successfully.